As a huge Pride and Prejudice fan, I could not wait to get my hands on a copy of this book. 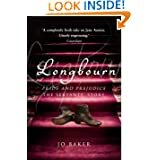 This is the story of the servants who worked at Longbourn, the Bennet household and delves into their lives and how the comings and goings, of which we read of in Austen's novel, impacted on their lives. Georgian England has become a fascination again thanks, in part, to Downton Abbey. Unlike other period television shows, Downton showed us both worlds living under the one roof. The Masters and Ladies of the house on the main floors and the servants down below. It was inevitable that an author would ride this wave and produce a work which would aim to tell the popular Austen story from another angle. I am just glad it was Jo Baker that did it. Her own family worked in service two generations ago and she obviously put in a huge amount of research but with sensitivity. The result is a wonderfully written account of the servants which I didn't want to end. The original characters from Pride & Prejudice are all touched upon ; The Bennets, The Bingleys, Mr. Collins, Wickham etc, but from a different angle which at times gives them more depth. Mr. Collins especially. While in the original book he was bumbling and pitiful, in this telling he is given more insight and understanding. The reader is also made aware of how different the story could have become had he considered Mary Bennet , the middle daughter, as a wife. He enjoys chatting with Sarah, the housemaid, and treats her with more respect than she expects, asking her opinions and praising her for work well done. He also trusts her with nuggets of his own opinions. "It turns out that they have nothing to do in the kitchen, which is something of a concern, and a surprise, if I may say so; but I think they must have some responsibilities about the house, some actual work to do. A family of this size, with Mr. Bennet's income, I don't see how they could all be idle. Or, indeed, what good it would do, to bring up a child to be of no practical use to herself or anybody else." The everyday duties of Sarah and her young assistant, Polly, are harsh. The constant washing of linens and clothes with cracked, damaged hands; the scrubbing of floors with old tea leaves, the slaughtering of animals to produce food and soap; and the emptying of chamber pots, which can vary in degrees of content. This is all expected of a housemaid and they are still grateful to be in employment, with a roof over their head. "Sarah wondered what it could be like, to live like this - life as a country dance, where everything is lovely, and graceful, and ordered, and every single turn in preordained and not a foot may be set outside the measure. Not like Sarah's own out-in-all-weathers haul and trudge, the wind howling and blustery, the creeping flowers in the hedgerows, the sudden sunshine." Mr and Mrs Hill, the Butler and Housekeeper have their own story to tell, as do Polly and James, the new footman. All the visitors, family and friends, to Longbourn have no interest in these people, or their stories, as they are in a cocoon of wealth and tradition. The reader, on the otherhand, becomes part of their little world below the stairs of Longbourne, and feels the cold on their fingers along with them, or smells the baking from the kitchen. Most importantly, the reader cares what happens to them. This is a sign of a writer who also cared, and who wants these peoples voices heard. A wonderful book, written with warmth, caring and an obvious love for the hard working people of Georgian England. Oh, this sounds really good. Going to add it to my wish list. Thanks for stopping by Pooch Smooches and entering my giveaway for "Rescue Me, Maybe". 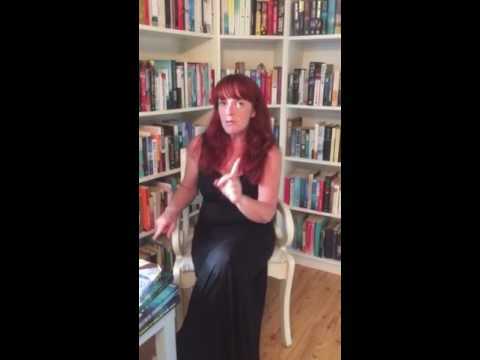 If you don't win, I could send you a review copy in either ebook or print format! Thanks Jackie, that would be great. I tend to read hard copies as a preference and review 3-4 books per week so would love a copy of " Rescue Me " ! !